In the pre-Christmas rush, it was easy to miss a couple of bits of good news regarding the UK's trade with Pakistan. The first came with the EU Parliament voting for the Generalised System of Preferences Plus (GSP+) for Pakistan. This came into force yesterday. While it may sound bureaucratic and confusing, it has the potential to provide a major boost to trade between the UK and Pakistan. In simple terms it provides improved EU market access and duty-and quota-free access for almost all of Pakistan's exports. Pakistan stands to gain an estimated $500 million and 1 million new jobs from this agreement. These trade preferences will provide substantial benefits for Pakistan’s economy, bringing sustainable growth and jobs. The vote is also a further sign of a deeper and more effective relationship that benefits both the UK and Pakistan. This move is something the UK has been pushing for over several years and it's great to see it come in to force. It shows that, even though the UK cannot forge its own trade deals within the EU, it should still do all it can to promote Commonwealth free trade as it did in leading the charge for the EU-Canada trade deal. Pakistan and the UK have a close relationship and trade is at the heart of this relationship - Britain is the top European destination for exports from Pakistan. We are working together to deepen our partnership for the long-term and our Prime Ministers have set us an ambitious target to boost bilateral trade to £3bn by 2015. Historically, Britain and Pakistan have always enjoyed substantial trading relationship, with more than 100 British companies operating successfully in Pakistan. 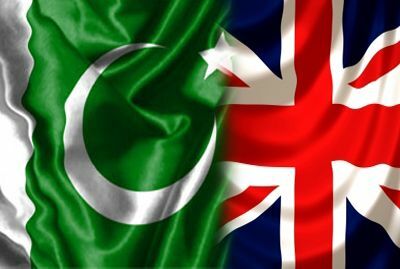 Pakistan’s relations with the United Kingdom are on a growth trajectory in all areas of bilateral cooperation including trade, economic growth and development, cultural cooperation, security and education.